The largest country in Central Europe is a formidable holiday destination for anyone who loves history, culture and nature in equal measures. Compact, easy to travel through and offering a different scene at every turn, Germany rates as one of the best vacation hubs in the whole continent. Renowned for its pedantic precision, soaring economy and do-gooder attitude, this country has somehow remained true to its nature, even throughout its tumultuous history. Knocked to the ground (a few times), degraded, ashamed and reborn, Germany is one of those places everyone thinks they know, but never really do. Not until they visit. 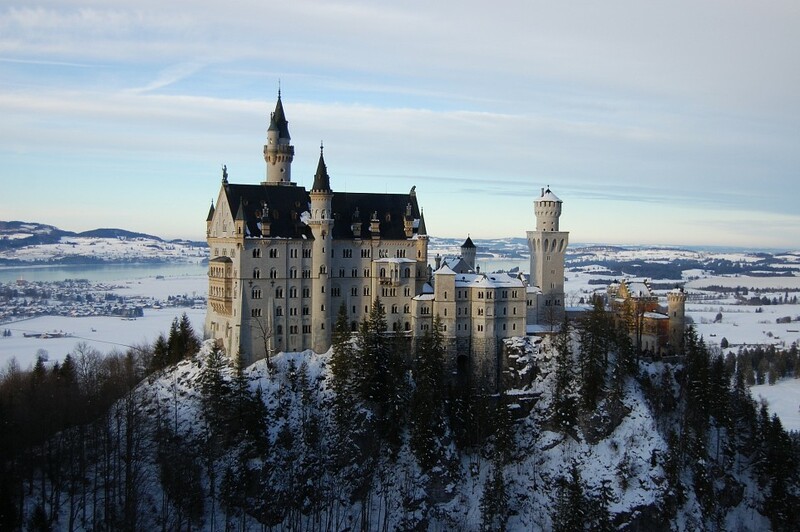 From the breathtaking landscape of the Bavarian Alps, to the awe-inspiring castles and vibrant cities, not to mention the hearty and varied cuisine, Germany is arguably one of the most surprising countries you could visit. The country’s painfully slow ride, up the European tourism ladder, has left it blissfully unaffected by the kind of mass-tourism mayhem often found in neighbouring countries. Crowds are infinitely better here than in France, locals are not as exploitative to tourists as in Italy and everything, from the culture, to the history and sights, are much more varied than in Austria. It may be clichéd to even say it, but the fact that the country is so clean, that everything runs on time and that people are friendly yet respectful, also adds to the allure. Want a hassle free vacation in one of Europe’s most stunning nations? Then look no further than Germany. Religion: 67% Christians (majority Protestant in the north and Roman Catholic in the south), Islam is on the rise and is the second largest religious group, with a plethora of other religious minorities making up the difference. Modern-day Germany is made up of 16 very distinct states, each with its own distinct history, culture, cuisine and even language. This eclectic mix is nothing new and has been an integral part of Germanic history since the early middle ages. It wasn’t until 1871, at the end of the Napoleonic Wars, that smaller, independent Kingdoms joined forces to create a mighty German Empire. Before WWI, it was indeed quite mighty and spread out over large areas of what are now its neighbouring countries. Yet the decimation of the country, after its defeat in the First World War, had a catastrophic impact on the economy. The detrimental effect on its people gave rise to what can only be described as the darkest chapter in the country’s history. Many historians will attest that Nazi Germany is what happens when you kick a country to the ground and leave it to fend for itself. The Great Depression had a drastic effect on this country and is widely reputed as the single, biggest reason for the rise of the Nazi Party . While not the largest genocide in history, nor the most recent, The Holocaust of WWII is still what most people think of, when they think of Germany nowadays. Despite the fact that over eight decades have passed. Yet the country has made great strides in its persistent strive for redemption and, despite its ill repute, has emerged as a great country of fairness, transparency and labour. If ever our world had an example of ‘bad kid made so very good’, then Germany would certainly be it. Conveniently divided by distinct regions, as if to purposely make a visitor’s exploration easy as can be, Germany offers a different scene at every corner. Here are the main geographic regions and what they each have to offer. 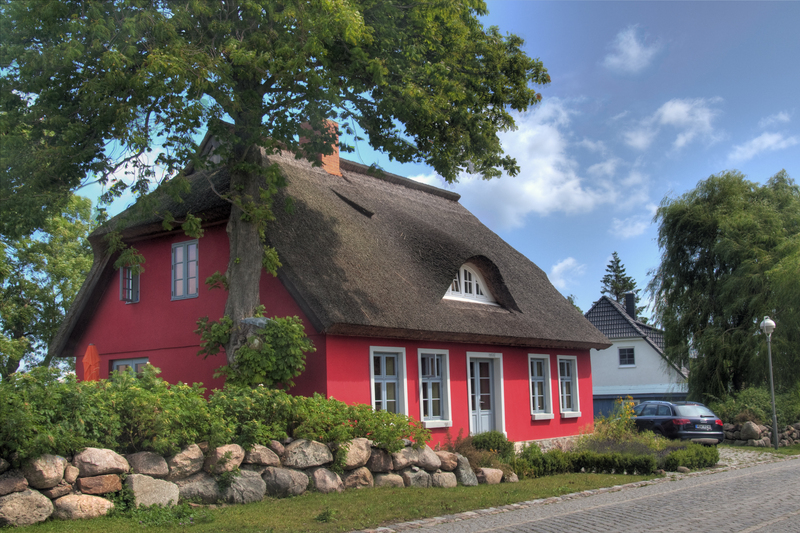 Northern Germany: The chilly waters of the North and Baltic seas cradle a dramatic coastline, with hubs like Bremen, Hamburg and Hannover providing the ideal bases. Central Germany: The business mecca of Frankfurt is only one of several prominent cities at the heart of the country, with swathes of green forests and nature reserves offering ideal escapes. 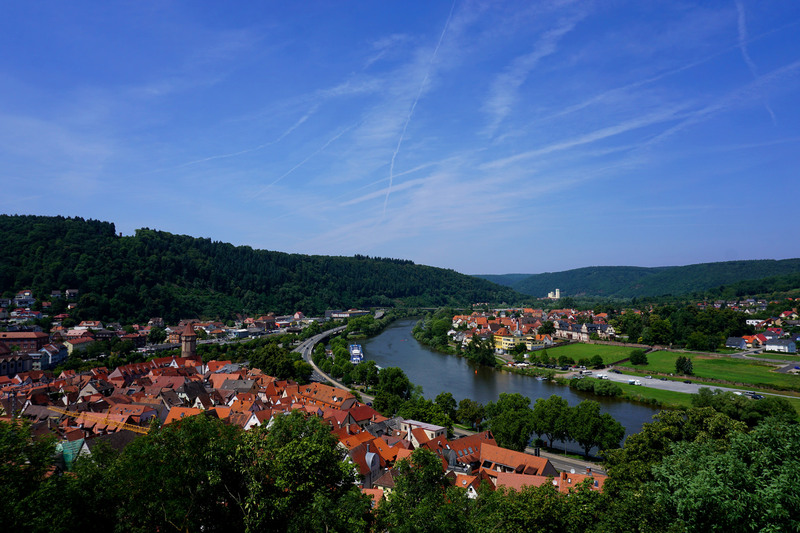 Western Germany:The stunning Rhine Valley and its neighbouring wine-country make up this western wedge of the country, bordering The Netherlands, Belgium and Luxembourg. 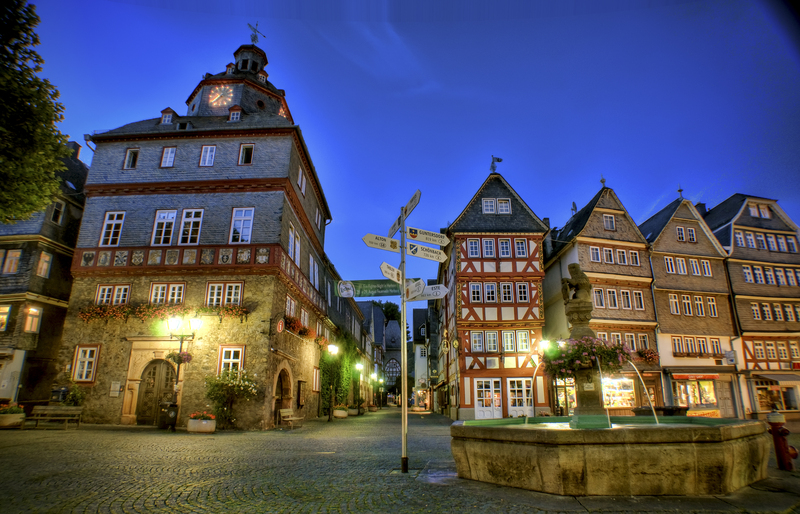 Stunning Cologne and arty Düsseldorf are the most famous cities you’ll find in this region. Eastern Germany:Home of the capital, Berlin, and superbly rebuilt Dresden dot the eastern side of the country, what many consider the most interesting, eclectic and multicultural part of Germany. Southern Germany: The pretty-as-a-picture bottom half of Germany, with its spectacular green hills, formidable snow-capped peaks and extraordinary castles, is Central Europe at its very best. Explore Bavaria, the Black Forest and the Lake Region for days if not weeks on end, and you’ll be blown away by the natural splendour of this part of the world. 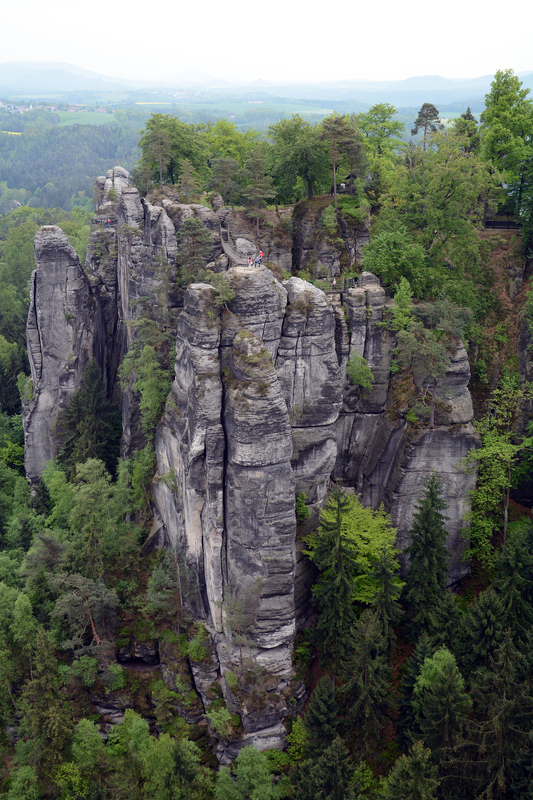 In total, germany offers 39 UNESCO sites to admire and half a dozen ‘routes’ to explore, each taking in a particular type of attraction, whether it be castles, vineyards or awe-inspiring landscapes. Few countries the world over can claim to be so overrun by castles, of all shapes and sizes. 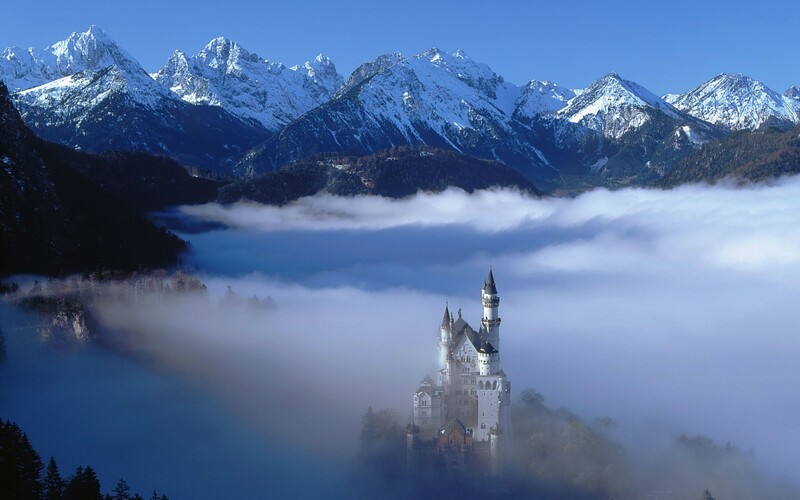 Baroque, Gothic, romantic and timeless, the castles of Germany are one of the reasons many flock to this part of the world. Here’s a taste of what you can expect. The number one attraction in the whole country, this impossible-to-pronounce castle is one of the most atmospheric (and idyllically located) that you’ll see anywhere. The brainchild of a mad king with more money than sense, Neuschwanstein is even more impressive when one realizes that this is, in fact, only one of over 20,000 castles dotted all over Germany. 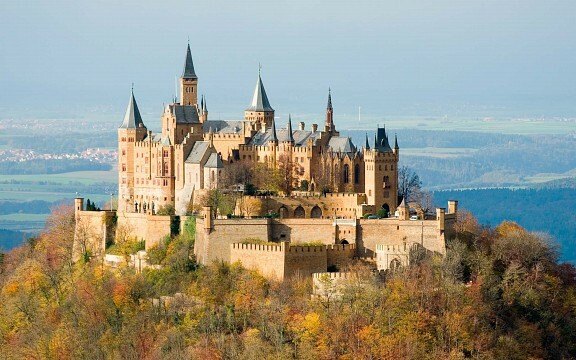 Merely 50kms out of Stuttgard is where you’ll find Hohenzollern, yet another stunning castle which is revered as much for its design as for the phenomenal landscape views it grant. 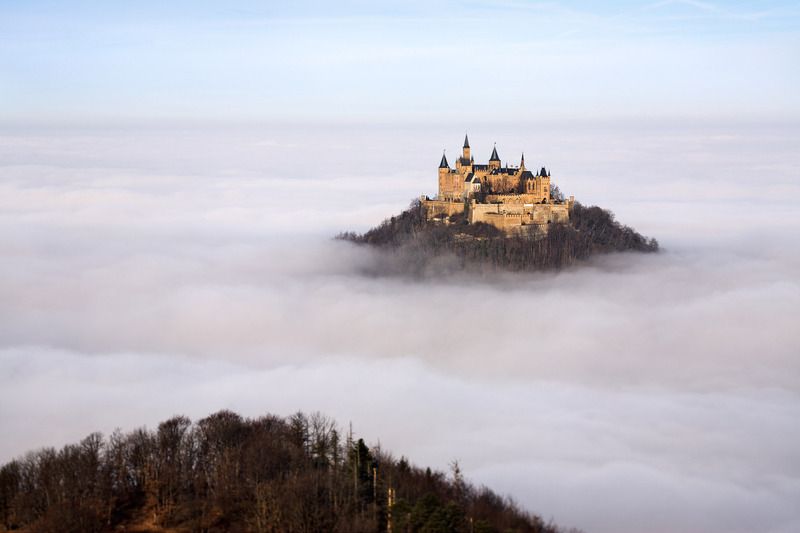 Perched high atop a hill over 800m high, Hohenzollern may not be as dramatic-looking as Neuschwanstein but considering it is far less visited may actually make it a tad more romantic. 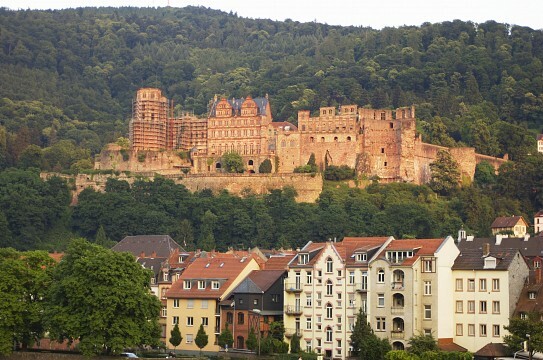 The main attraction in Heidelberg town, its homonymous castle is an incredible example of Renaissance architecture and displays quite different characteristics to the above-mentioned two. Surrounded by the cobble-stone maze of a picturesque old town, Heidelberg Castle offers a unique experience because there is much more to see than the interior of the castle itself. The whole centre, built along the shores of the Neckar Rover about half way between Frankfurt and Stuttgart, offers an unforgettable leap back in history. Historians consider this to be the most important castle in Germany, and the one where Martin Luther , the German theologist, translated the Bible and started the Lutheran movement in the country. Although initially built during the Middle Ages, the interior was greatly restored to in the 1800s and displays quite eclectic architectural characteristics. 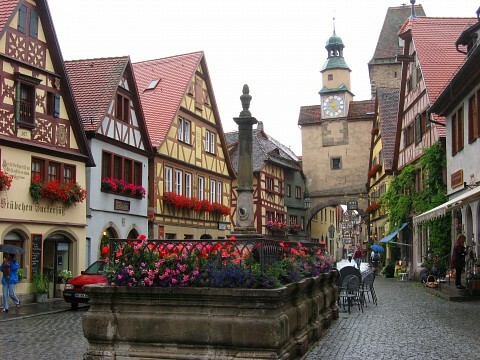 Wartburg is found atop a forest-filled hill near the town of Eisenach 200kms north-east of Frankfurt. 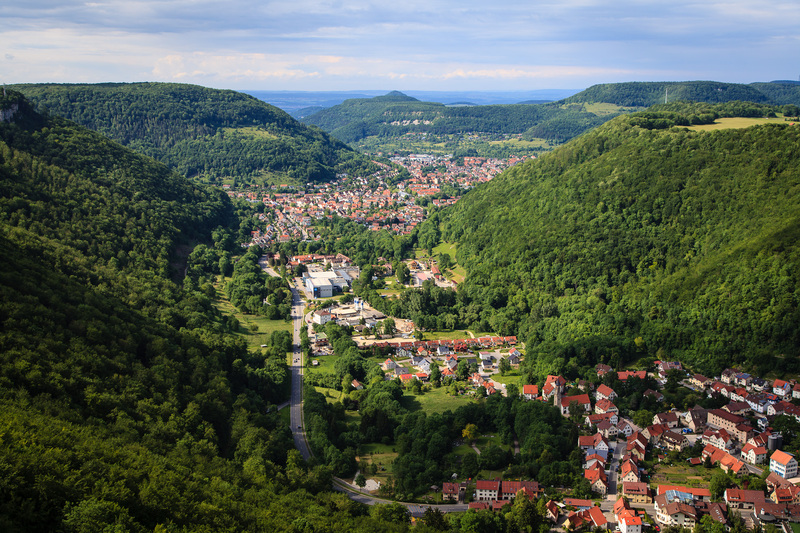 Surrounded by spectacular natural forests, Wartburg is not only a great historical landmark but offers an invaluable chance to enjoy amazing forest hikes. Since 1999, Wartburg Catsle has been a UNESCO listed heritage site. 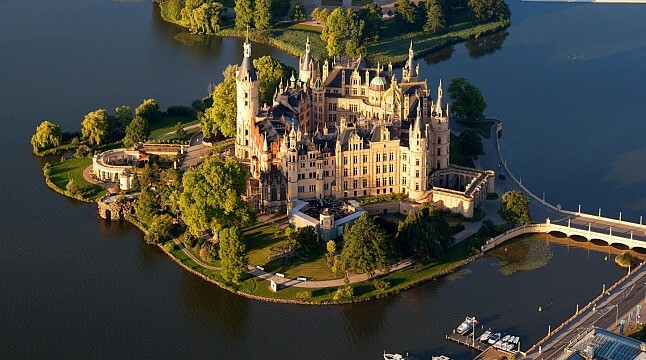 Schwerin Castle enjoys one of the most spectacular locations of all, right in the heart of a small island set on a lake, and reachable via a small bridge. Nicknamed 'The Neuschawnstein of the North', this 19th century palace is set for UNESCO stardom while still being very much in use, as the local Parliament holds its seat here. You'll have to pay a small entry fee to view the interior (and that magnificent staircase!) but gardens and grounds are free to enjoy. Wernigerode Castle, Sigmaringen Castle and Schleissheim Palace are also worthy of a mention. Mind you, they are just three among thousands of stupendous castles and palaces in Germany! Every major city, town and even village in Germany is a surprise onto itself and a treasure worth exploring. Not only are they great stepping stones for nearby natural attractions, but they all boast an interesting history, unique culture and innumerable sites. Here are just a few of the most rewarding. Germany’s capital is the most eccentric city you’ll see in the country and, despite its long history, has emerged as a young, hip and trendy city, thanks mostly to its over-abundance of university students. A vibrant nightlife, innumerable theatres, an amazing zoo, museums and varied epicurean scenes make Berlin a truly fantastic city-escape. Renowned as the fashion and art capital of the country, Berliners (the locals, not the doughnuts) are considered Europe’s most avant-garde trendsetters. The most famous site in town is the Berlin Wall (now a memorial), which separated east from west for well over 30 years. Its eventual demolition, broadcast worldwide in 1989, was the catalyst for the fall of Communism in Eastern Europe. 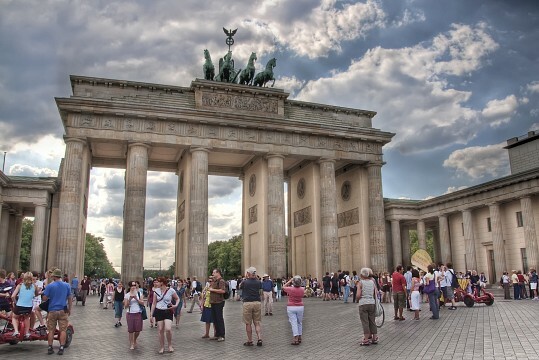 Other POI include imposing Brandenburg Gate, one of Germany’s most iconic landmarks, as well as the Pergamon Museum of history and the Reichstad Building. The latter is a complete pain to visit (foreigners must register their intended visit weeks in advance) but is one of the country’s most prominent historical sites so certainly worth all the hassle. This building was constructed to house the German Parliament between the years of 1871 and 1918. The Kaiser-Wilhelm Memorial Church is one of the city’s most unmissable landmarks and an incredibly beautiful place to visit, religious inclinations notwithstanding. The stained glass windows and intricately carved spires are simply sensational. Nowadays Potsdam may be considered part and parcel of Berlin, yet for many centuries the two cities were completely disconnected from one another. Boasting an impressive amount of UNESCO listed sites, Potsdam makes for a fantastic day (or three) out of the big Berlin smoke. 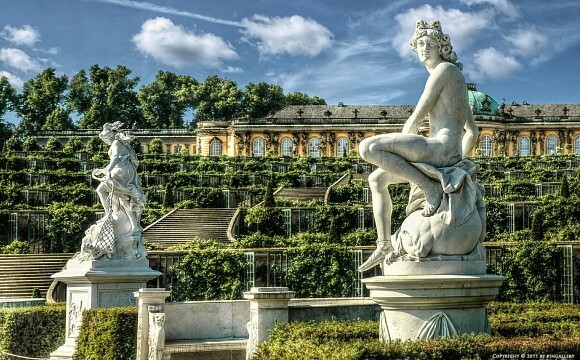 Visit historic Sanssouci Park, Orangery Palace and Sanssouci Palace, a stupendous Rococo creation with perfectly manicured baroque gardens, which was the not-so-humble holiday abode Frederick The Great during the late 18th century. 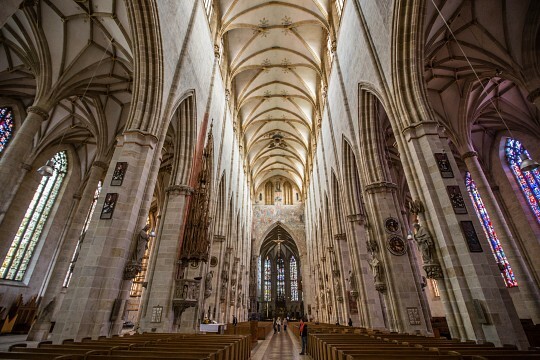 With its imposing spires and intricately carved facade, the UNESCO listed Cathedral of Cologne is a treasure of Gothic architecture and still stands, after almost eight centuries, as the epitome magnus opus of the city. Big enough to accommodate 20,000 worshippers, the Cathedral miraculously survived the incessant bombing in WWII and is consistently being maintained. Over 80 workmen and women are employed full time to restore and preserve this invaluable work of art. 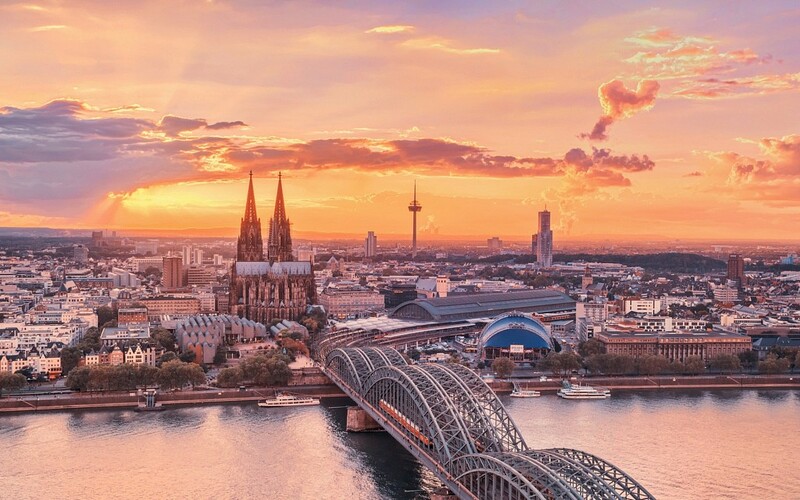 Striking cathedral notwithstanding, Cologne is still one of Germany’s most picturesque, riverside cities, and offers a myriad of enticing things to see and do. Spend a day in its amazing zoo, enjoy a picnic lunch in the incredibly gorgeous Botanical Gardens or admire the interesting collections of the Roman-German Museum. You’ll be hard pressed to find a more stunning skyline than Dresden’s, anywhere in Germany. One of the most bombed cities in the country, painstakingly restored to its glorious best, is a maze of incredible churches, museums, palaces and regal river-side buildings. Most visitors come here to admire the über-famous Dresden Frauenkirche, and end up staying for days, completely bewitched by the city’s artistic vibe and its phenomenal sights. 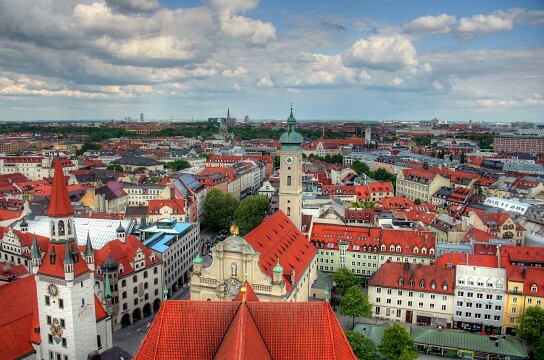 The most famous city in Bavaria, Munich is the unofficial ‘capital’ of Germany and the one city boasting the fastest-growing tourism rate in the whole country. Munich may be most renowned for hosting the yearly Oktoberfest, yet this impressive city also boasts a fantastic old town centre, the best Christmas markets in all of Europe and has the best of Bavaria right at its doorstep. Not to mention, it is also home of Hellabrunn Zoo, the best animal sanctuary in Europe. Marienplatz, Nymphenburg Castle, the English Gardens and the six-century old Hofbräuhaus beer hall are just a taste of what await you in Munich. The city’s central landmark (Frauenkirche) is its largest church, was built in the 15th century and is a wonderful example fo Gothic architectural design. This impossibly charming town is still flying low on the tourism radar, making it an exceptionally enticing place to visit. 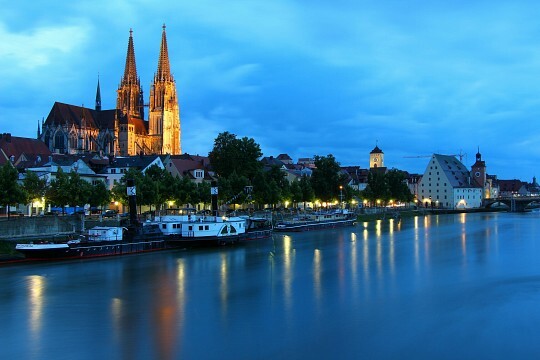 Built on the order of Roman Emperor Marcus Aurelius, Regensburg is the old capital of Bavaria and nowadays stands as an effervescent university town on the convergence of three rivers: the Danube, Regen and Naab. This UNESCO listen gem, with over 2000 years of history on its back, is a wonderful architectural and cultural centre: laid-back, serene and resplendent in its unpretentiousness. If you can fit in a few days here on your trip, you certainly won’t leave disappointed. 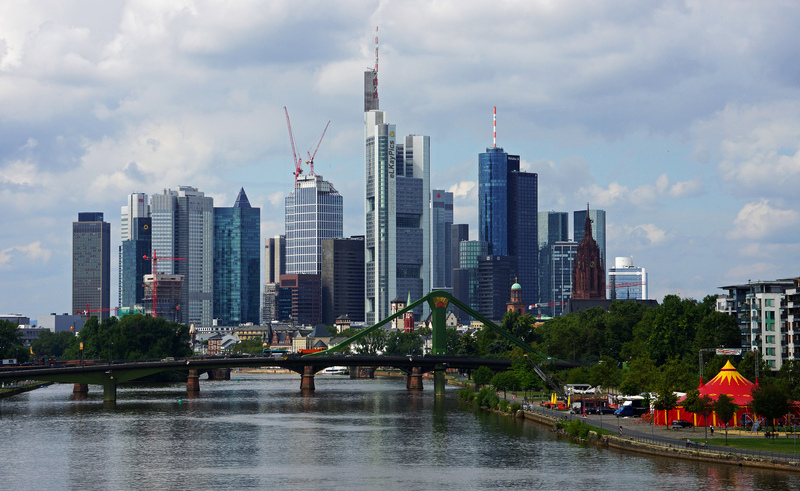 At the heart of Germany’s booming economy stands Frankfurt, a city which may pride itself on its high-rise business sense, but actually makes for a great quite a few lovely sites and activities. Discover the vibrant tree-lined scenes along the Main River, take in the head-spinning views atop the Main Tower and admire the art exhibitions of famous Staedel Museum. Mainhattan as the locals like to call it, ranks among one of the world’s most liveable cities and boasts an array of museum, theatres, amazing restaurants, clubs and bars. Another city, another river, another gem! Built along the River Rhine and boasting an effervescent social scene, Düsseldorf can easily be described as Germany’s quite achiever. 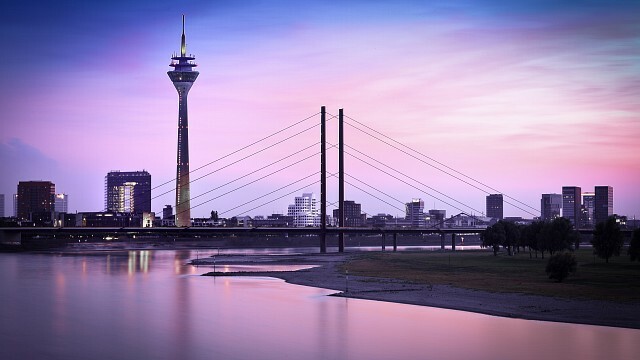 Ask any German and he/she will likely wax lyrical about the carnivals, fun fairs, festivals, the incredible shopping and non-stop-nightlife for which this city is revered, yet as far as mass tourism goes, Düsseldorf flies blissfully under the radar. Attractive, enticing and enlightening, Düsseldorf is stiff competition for the country’s most famous cities, with a magnificent Old Town centre, mind-boggling number of trendy bars and beer gardens and the fantastic gastronomic haven of Medienhafen. Pretty Koblenz is a great little place to explore and considered the ideal stepping stone to exploring the famous Romantic Rhine region. Originally built over 2000 year ago on this site, due to its superb strategic location at the confluence of two rivers, Koblenz is an impressive historical city boasting an impressive fortress and interesting military museum. Cruises down the River Rhine, however, are the main attraction for visitors. Koblenz is merely an hour’s drive from either Frankfurt or Cologne making it an easy side-trip option, even for those short on time. Ulm is a vibrant university city whose claim to fame is to be home to the world’s tallest church, the crookedest AND narrowest houses and for being the hometown of Albert Einstein. If that’s not reason enough to visit then we don’t know what is! 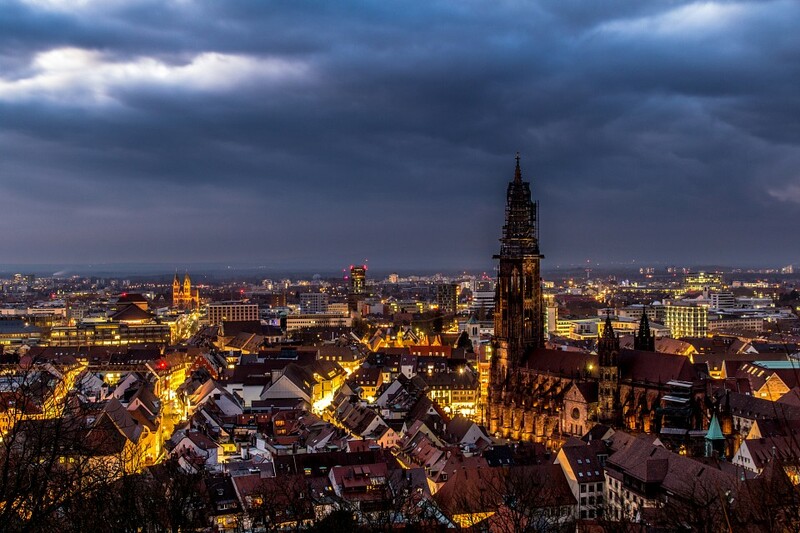 Set along the Danube River, on the northern fringes of Bavaria, Ulm boast a tantalizing red-tiled skyline, a charming historic centre and quite a few ‘other’ impressive attractions. Admire the vertiginous tower of the Ulmer Münster, whose steeple stands 161.5m high, and get lost among the cobblestone streets of the Fishermen’s Quarter. You’ll find a multitude of museums and art galleries to visit and plenty of Danube cruises to enjoy. 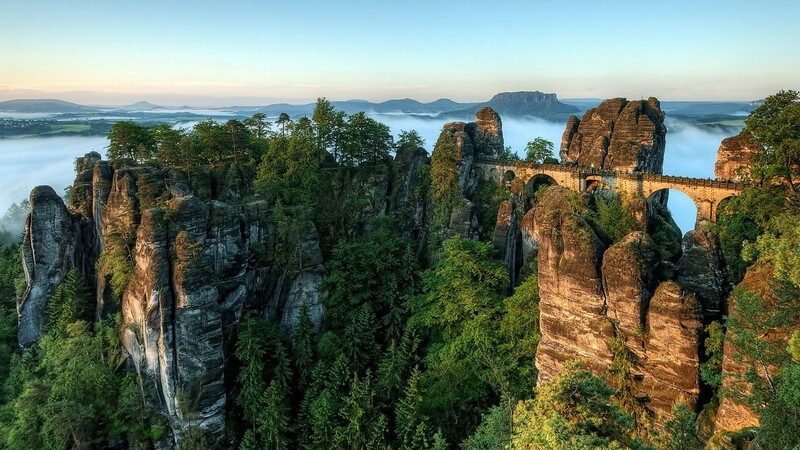 Spend but a month zig-zagging your way through Germany and you’ll soon realize that this is an utterly stunning country, and that each of its regions has something quite spectacular to offer. Have less time to spare? Then simply follow our recommendations for the very best areas to explore. Beautiful Bavaria is a world onto itself, stretching from the shores of the Danube on the north, to the vertiginous Alps in the south. 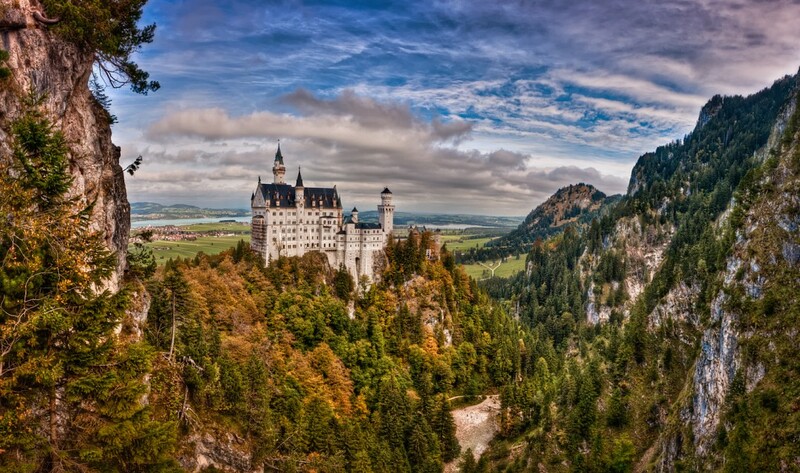 This is where you’ll find the fairytale castle of Neuschwanstein (among innumerable others), medieval towns and impenetrable forests. If you were looking for that postcard-perfect corner of Germany, then this is where you’ll find it. Humongous pretzels, ginormous beer jugs, schnitzels the size of a small country, happy cows donning impossibly huge bells and friendly locals who, believe it or not, really do wear lederhosen and dirndl out in public. Yet Bavaria also offers a glimpse into the country’s past, with enough historical attractions to last you an entire lifetime. 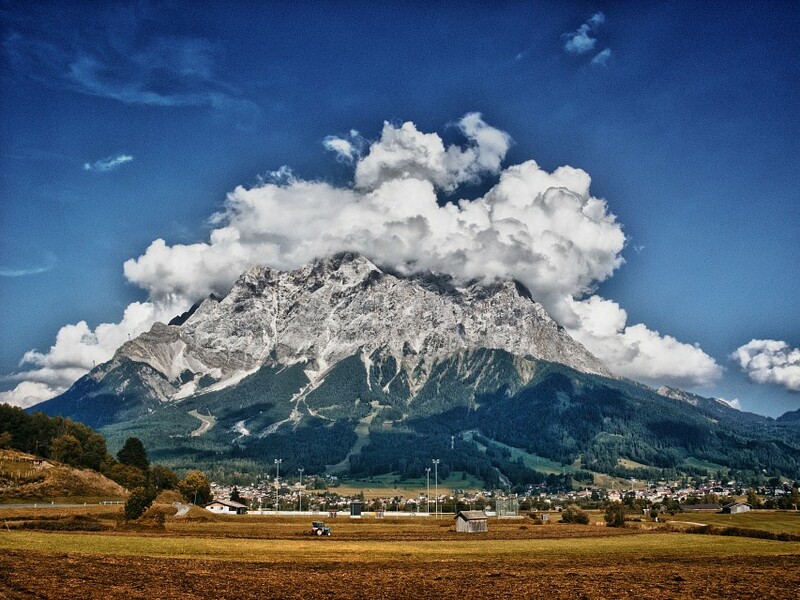 Right in the heart of Bavaria is where you'll find Zugspitze, the highest peak in Germany, which stands at 2,962m elevation. The moment you set foot on this spectacular but harsh stretch of coastline, you’ll no longer wonder how Germans became such tough and resilient folks. The waters are freezing, the winds unrelenting and the beaches anything but idyllic. Yet captivating is the best way to describe this almost 2,000km long coastline, the holiday spot of choice for many Germans. Just a step inland and you’ll be at the foothills of the largest river and lake regions in all of Central Europe, and you’ll have thousands of UNESCO-listed towns, castles and palaces to visit. Plus, the salmon and herring here is out of this world and reason alone to visit! The oldest route of its kind in the country, the German Wine Route (Weinstraße ) runs right along the border with France, stretches for 85kms from Bockenheim to Schweigen-Rechtenbach and takes you through innumerable boutique and larger vineyards. 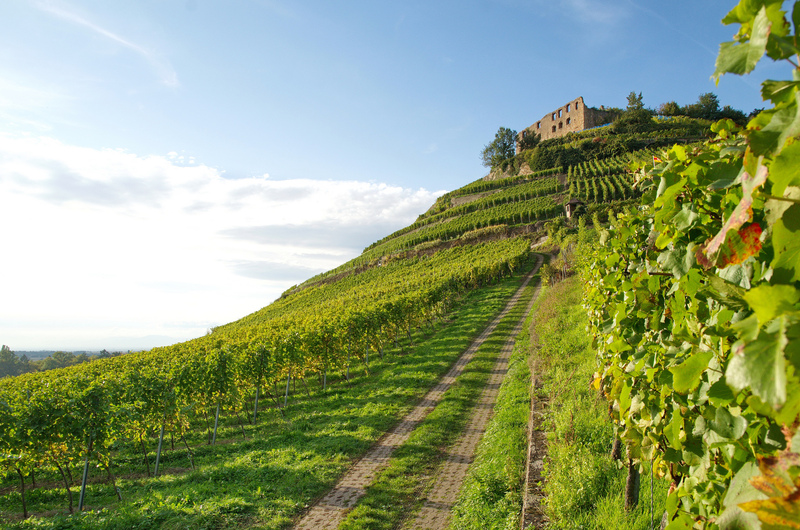 This area boasts the most temperate climate in all of Germany and, between March and October, hosts a myriad of wine festivals. 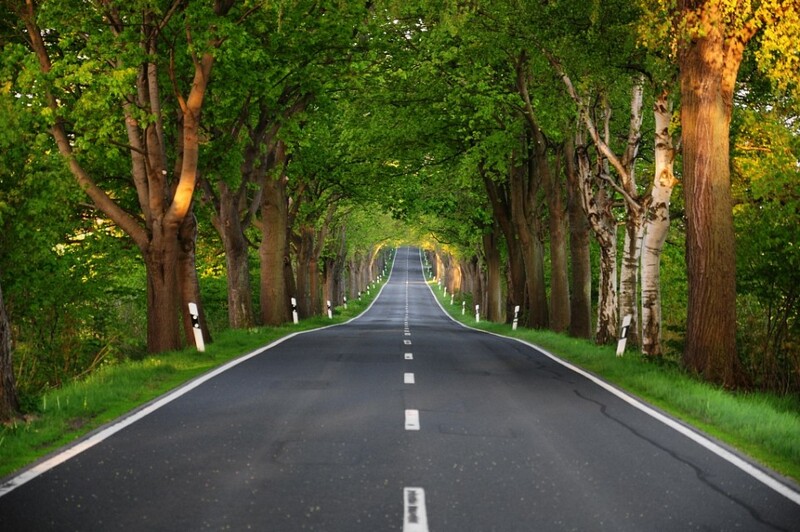 The Romantic Road (Romantische Straße) was the brainchild of a few cunning tourism agents, who advertised a gorgeous stretch of over 300kms of highway, linking prominent medieval towns and historic castles in Bavaria. 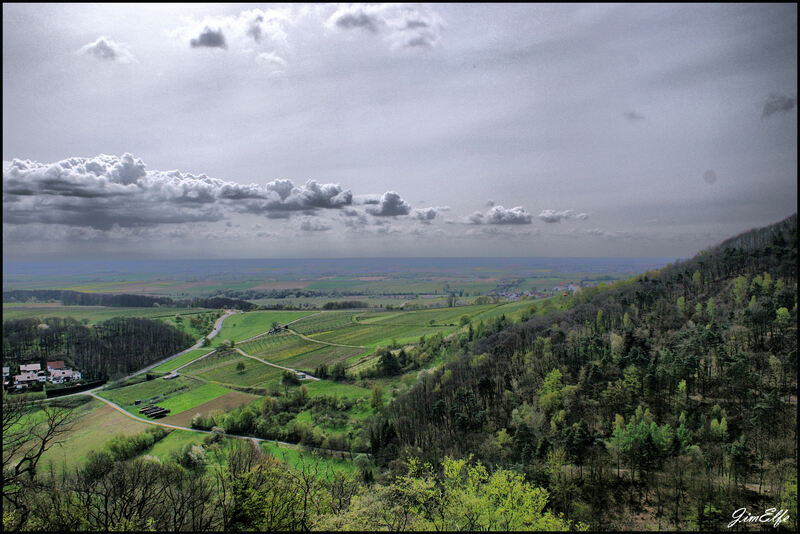 Along with the Wine Route, the Castle Road (Burgenstraße) is the most famous of all the themed routes, and a stretch of 1,000kms which runs horizontally all the way from Manheim to Prague. Apparently, castle-fatigue should not be discounted on a route which aims to take you past more than three dozen historic palaces, each with its own unique architecture, history and splendid setting. To intrepid travellers the German Avenue Road (Deutsche Alleenstraße) is arguably the best of all, and a spectacular route which takes you from the north of the Baltic Sea Coast, all the way south to Lake Constance, which delineates the border of Germany with Austria and Switzerland. At just under 3,000kms, this is the longest themed route you can undertake in Germany and will see you drive by some of its most famous destinations, including Dresden, Ravensburg and the Grammentin Forest, among innumerable other enticing spots. German Avenue Road - Germany. Photo by P. S.
Germans are usually classified as your typical ‘cold, unfriendly, northern lot’ yet reality could not be further from that preconception. Sort of. At first glance, locals may indeed appear aloof and uninterested, yet understanding that the behaviour of the people derives from in inherent desire to show respect, will go a long way in understanding the lack of immediate welcoming with open arms. Germans are a proud people with a long-held value system which rewards deference at every level. One must always be on time, never be too loud, never intrude and never do anything which may cause offence. Political correctness and a right to privacy are at the very core of the nation, and every aspect of the culture reflects this credo. The country is actually dealing with a massive wave of unwarranted immigration, and has been for a few years, yet never will you hear a Chancellor or anyone on the street for that matter, go on about it like the British, the French or the Italians. Here, it’s all about respect. Step behind a closed German door and you’ll encounter the same sensitive values as everywhere else. Family and friends are important, as is pride in one’s work and respect for the law. Ironically, Germans are among the most conservative populace of Europe, yet also boast the most number of free spirits and people who want to escape ‘the system’. This yin and yang actually makes this a very interesting place in which to spend some time. For the average tourist, who’ll spend just a few weeks here, Germans will come across as overly-officious and perfectionists. Yet to all those who have previously wasted much-precious holiday-time waiting for trains that never arrive, rent cars with no brakes, visit museums that close early and worry about being ripped off souvenir-shopping, this will all come as a welcomed blessing. Germany sits at the very core of Europe, in more ways than one. Politically and economically, this country is a powerhouse by which all others are measured. It has no qualms dictating the kind of drastic measures other countries should adopt, and probably rightly so. Among the world economic crisis and all the other mess the European Union has endured the last decade or so, Germany stands resplendently strong. This is the continent’s largest economy, one which ranks fifth in the world. High in innovation and low in corruption, with a superbly skilled workforce, manageable unemployment and a high sense of social correctness, this nation would have to represent one of the most poignant rags-to-riches stories the Western world has ever seen. Its rise, over the last 30 years, has been nothing short of phenomenal. The automotive industry here is ranked the best in the world and, despite the brain drain caused in the last decade, Germany still ranks high in the science and research fields. Tourism is playing an increasingly large role in the country’s economy, having recently become the 7th most visited country on the planet. 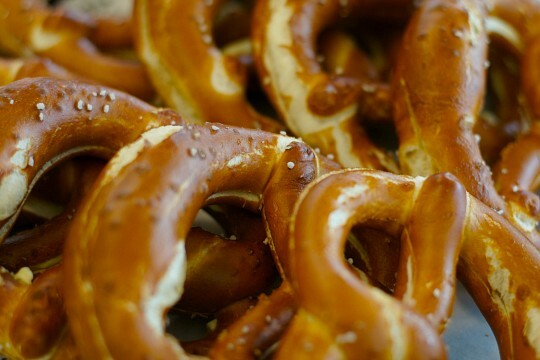 There’s much more to German cuisine than pretzels, beer and pork shanks but, it should be noted, all three of these national specialties are infinitely worthy of copious consumption. Varied and regional, the local cuisine is always hearty and satisfying with pork being at the epicentre of all major meals. Seriously. Pork is so embedded in the local culture that the word has even found its way into the local lingo. In Germany, one is never simply tired, one is pig-tired , lazy people must overcome their Innerer Schweinehund (inner pig-dogs) to get off the couch and, should you be putting on a few extra kilos due to emotional overeating, you’d be calling your spare pounds: Kummerspeck, or ‘grief bacon’. But enough about schnitzels. Meat lovers usually have a grand old time in Germany, as do all carb-lovers. The country’s love affair with pork is only matched by its obsession with bread. Over 300 varieties of bread are made here and many bread-museums also exist. Delectable dark breads and potatoes cooked every which way are ubiquitous side-servings at every meal, as are cabbages (sauerkraut, of course) and lots of asparagus when in season. Sausages are a staple meal just about all over the country, with salmon and herring being particularly prominent in the northern region. Germany is a great producer and consumer of beer, brandy and schnapps. Locals tend to be big drinkers, but never excessively so. Despite its love-affair with alcohol, Germany does not boast the sort of binge-drinking culture common in many other nations. Small, local boutique brewers (especially from monasteries) are among the favourites, so try different local gems in every region of the country through which you travel. For unbelievably delicious treats, and to taste Germany at its best, travel here during the Christmas period, where the local cuisine is enhanced by mulled wine (Glühwein), marzipan and gingerbread biscuits. Germany’s varied landscape and its plethora of natural wonders makes visiting very rewarding, no matter what time of year you visit. Summer: June, July and August are fantastic months for hiking in the Alps and frolicking on the waters off the north coast. Although these are the hottest months of the year they are also the wettest, so the weather can be rather unpredictable. Still, for major sightseeing excursions the temps are certainly bearable enough and much better than you’d find in southern Europe. 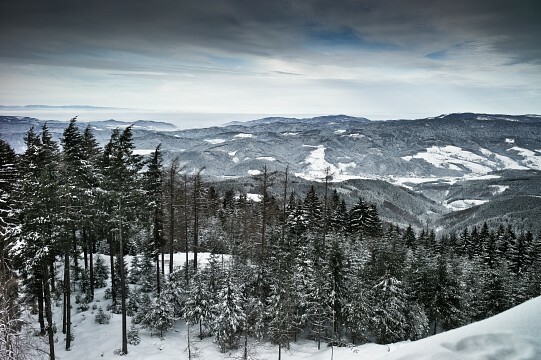 Winter: snow lovers head here in droves to ski the superlative mountains and to indulge in one of Germany’s guilty pleasures: the sauna. Locals can spend evenings on end in saunas, either communal ones or private ones built in one’s garden. The stupendous landscape of southern Germany, covered in a thick blanket of sparkling white snow, is one of the most spectacular sights you’ll ever see. If you hate the cold you may want to steer clear of the eastern half of the country, and stick to the Black Forest area instead. 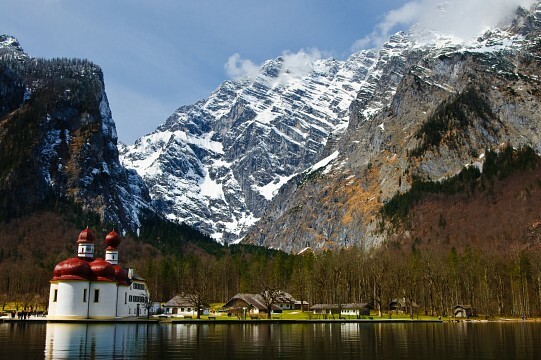 Shoulder Season: April/May and September are what many consider the ideal months to travel through Germany, as the snow has yet to impact movement but crowds and summer temps are no longer a nuisance. Besides, this is one of the most magnificent places to see the rich autumn colours for which Europe is so renowned. Germany’s superb location and infrastructure makes this country the busiest transport stop-over in all of Europe. 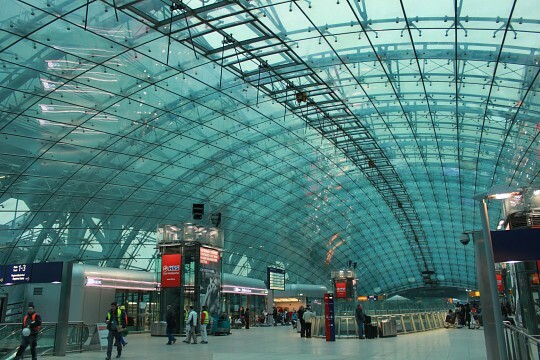 Major international airports are found in Munich, Berlin, Hamburg, Frankfurt and Düsseldorf, with Frankfurt’s being the busiest and largest of all. Budget airlines service minor airports, all within relatively close locations to the major cities. GermanWings and RyanAir service the bulk of budget flights. Arriving by rail from neighbouring countries is also a popular option, with daily connections to Amsterdam, Prague and Paris among others. If arriving from Denmark, Norway, Sweden, Latvia and Lithuania, you can also reach Germany by international ferry. 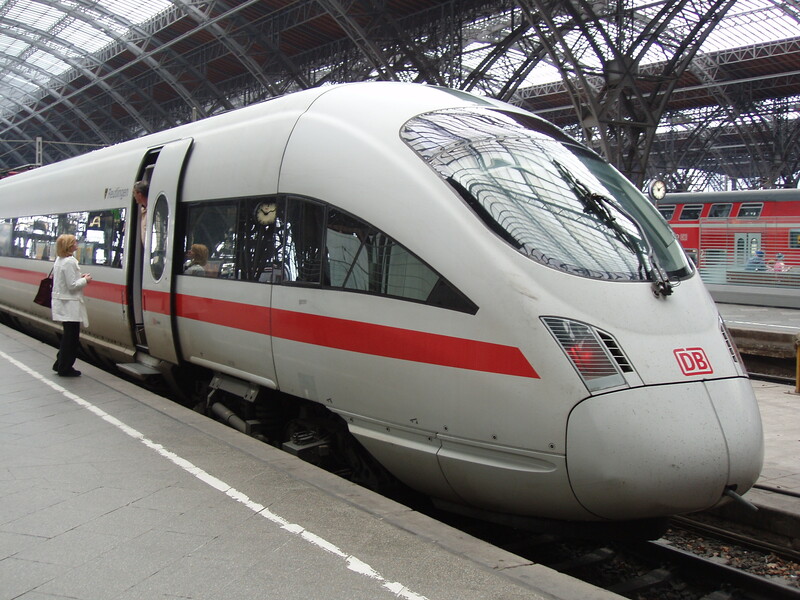 Once on German soil, the most popular options are travelling by rail (which is incredibly efficient, but also incredibly expensive) or travelling with a rental car. The latter is both rewarding and hassle-free. The Deutsche Bahn (German Rail System) is exactly as you’d expect it to be: fast, convenient and reliable, albeit a little on the expensive side, when compared to other European countries. You can either pre-purchase your ticket online (but you’ll need to show a printed copy as smartphone screen prints are not accepted) or purchase on day of departure from your chosen station. A wide selection of special tickets are available, from day passes to group tickets, regional weekly and country-wide monthly tickets, so do some research and find the deal which suits you best. Fantastic Eurail Passes also offer quite amazing deals. In Bavaria, beer is classified as a food. 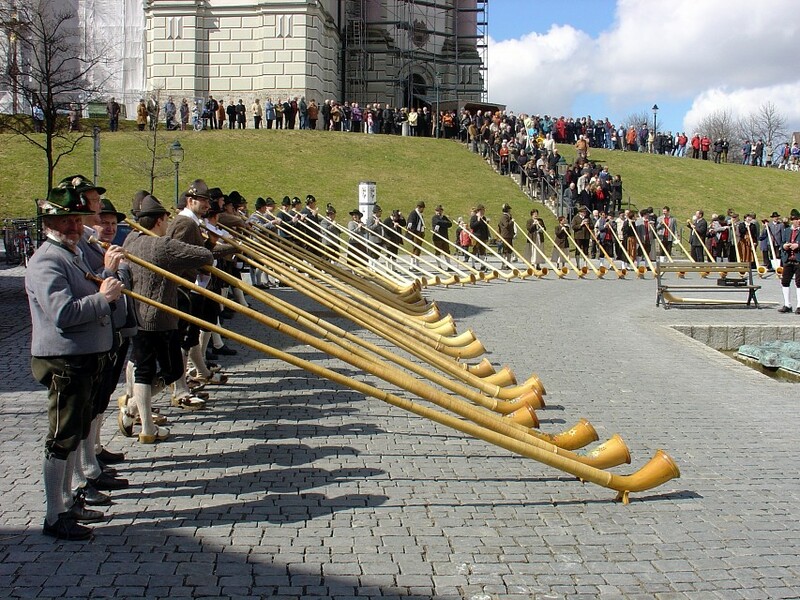 The Oktoberfest for which Munich is so famous, is actually held in September. When President Kennedy visited Berlin, he famously stated ‘Ich bin ein Berliner’ which was meant to assure his audience that he felt like one of them. Unfortunately for him, he actually declared that he was a jelly-filled doughnut. Germany is home to more zoos (400) than any other country on earth. Current Chancellor, Angela Merkel, has had a Barbie doll modelled after her. A national New Year’s Eve tradition is for families to sit around the TV and watch a re-run of the 1963 British comedy show: ‘Dinner for One’. One of the longest word in the German language is: Rindfleischetikettierungsüberwachungsaufgabenübertragungsgesetz. It refers to the law which regulates the production of beef.